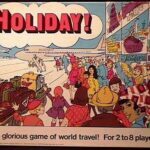 Travel and sightseeing seems like an ideal theme for a family game. It certainly has been the theme for many. But it took someone with the creativity of Sid Sackson to take a well worn theme and make it truly unusual and fresh. Holiday! 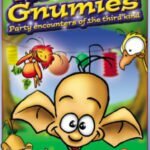 was one of the games marketed by a New York based company, RGI. RGI was probably best known for their line of sports simulations with real personalities in the titles (Vince Lombardi’s Game, Gil Hodges Pennant Fever,Oscar Robertson Pro Basketball Strategy etc.) although they did market games of other genres (including two WAR games by Sid Sackson: Major Battles and Campaigns of General Douglas MacArthur and Major Battles and Campaigns of General George S. Patton). Holiday! 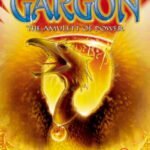 was one of the their forays into family gaming – and it was exceptional! Holiday! came in a large, flat, square box that held a map of the world, a deck of 64 “sightseeing” cards, play money, a small model plane, a “day of the week” dial, score sheets and a die. For two to eight players, Holiday! was suitable for family play with a playing time of about 90 minutes. Players began with a bankroll of $10,000 and a hand of sightseeing cards, from 10 (if up to six were playing) down to 9 (with seven players) to 8 (with eight players). Sightseeing cards contained three vital pieces of information: the name of the city you wanted to visit, the day that was best for visiting and the number of points that visit was worth IF you arrived on that best day. Getting to that city on that best day (or, at least, CLOSE to that best day) is the crux of the game. ANY player who has a card for that particular city may discard the card and get the points for the city on that day. Only one card may be played by each player per turn. If the plane lands in a city on the day specified on your sightseeing card, you get 7000 points. If you are a day EARLY, you get 6000. Two days early, and the card is worth 5000 – and so on, down to 1000. Once everyone has played any card they wish to, the wheel on the dial is shifted to the next day and the next turn begins. From this point on, the game becomes a game of nerves, bid and bluff. Now, the plane may move from the city it is on to any city linked to it by a solid black line. 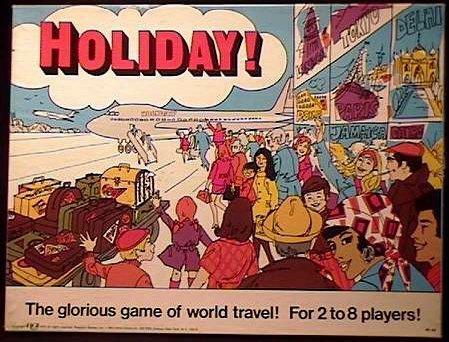 Players, again in an open auction, bid for control of the plane with high bidder moving the plane to its next destination and, once the plane arrives, all players may play one matching city sightseeing card. When someone has successfully discarded his last sightseeing card, the game is over and scores are tallied. Players add up the total of sightseeing points accumulated from the play of their cards. To that is added any unspent money they may have at the conversion rate of 1 point per dollar. The player with the highest combined total wins! Holiday! has some brilliant touches. The “tug-of-war” between players who want to go in different directions can lead to some big bidding wars. There’s nothing sweeter than watching your opponents run up the price, pay a high fee for control of the plane and pleasantly discover that the plane has been moved to a city YOU wanted! Remember: you can play a card even if you do NOT control the plane! You need to control your high bidding instincts. Keep in mind that money is extremely valuable. Not only does it convert to victory points at the end, it is irreplaceable! Once you place a winning bid and spend it, that’s it! There is no way of getting any more funds! Money in reserve is a key consideration. Otherwise, you will find yourself buffeted about the world, going to cities in which you have no interest, unable to wrest control of the plane from the opposition and left with a hand full of unplayable cards! And how many games can you think of that can handle 8 players flawlessly? Unfortunately, there were some drawbacks. The map of the world (a wonderful opportunity for graphic excellence) is, to put it charitably, bland. Worse, reading the cities and mapping out the routes, well worth the effort, is more difficult than it should be. Ironically, these faults were addressed in “improved” European remakes of the game such as Das Erbe des Maloney (Maloney’s Inheritance) and Shanghai. Unfortunately, these remakes added a significant luck element to the game play which served to only spoil an elegant design.